Modern catering is more than just a buffet. It’s a culinarian delight. Corporate event or family celebration? 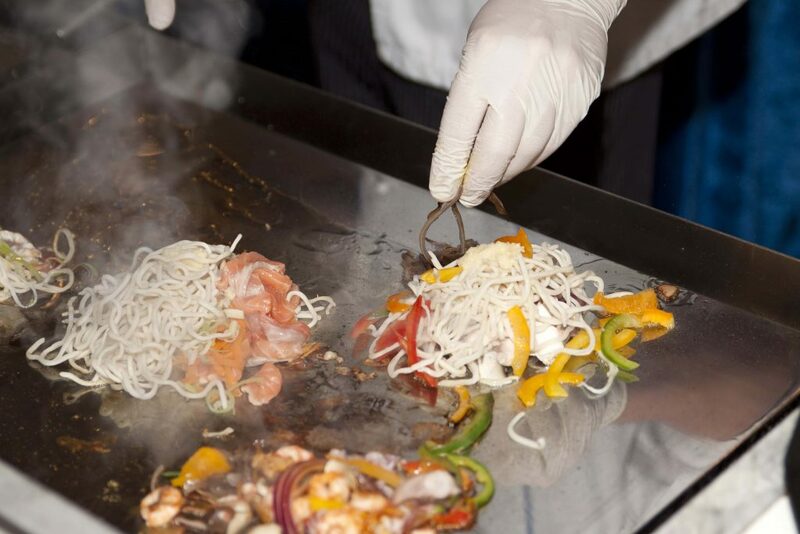 Classic catering or live cooking? 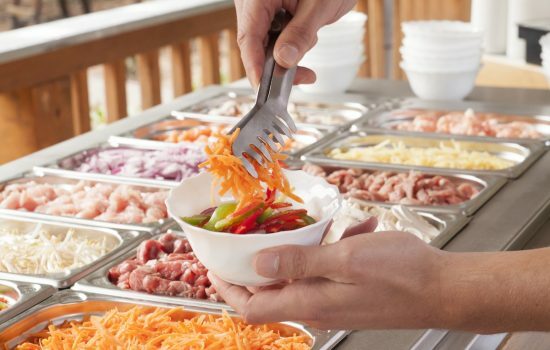 Hot or cold buffet? InHouse or OnLocation? Don’t worry, you don’t need to have an answer to all of this right away. Our offer has so much variety that we should sit down and discuss the details together. You tell us your wishes, and we will show you many ways of realization. 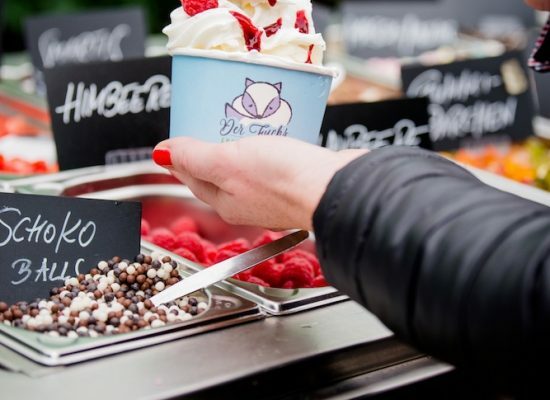 For example, one of them might be live or front cooking at our mobile Burger Bar, Mongolian Barbecue and Frozen Yoghurt more and more of our guests begin to really like. 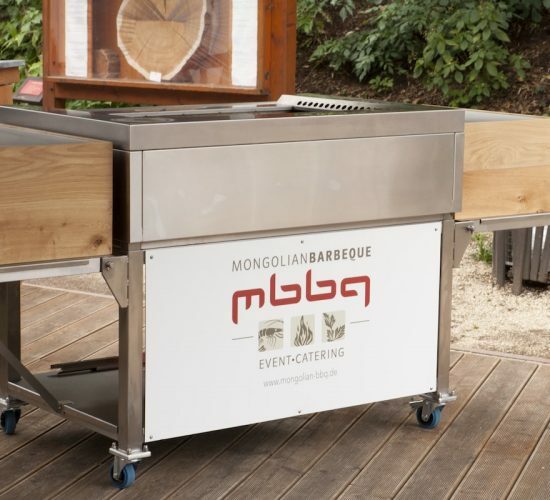 The idea behind the Mongolian BBQ is just as simple as brilliant. The only prepared food are the fresh ingredients and the side dishes. You can piece together anything you like and have it cooked and refined before your very eyes. Our Burger Bar works the same way. Here, the toughest decision to make is to choose with or without meat, because our veggie burgers are just as delicious as the patties made of best beef. 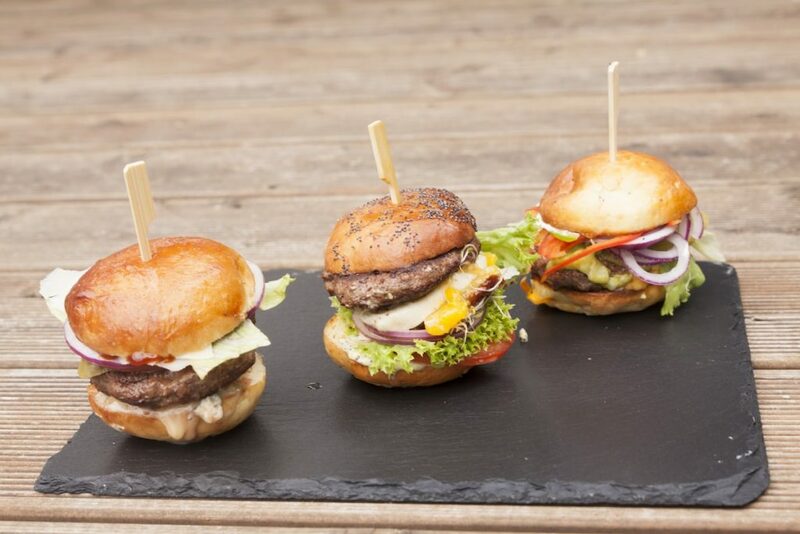 You can create your own burger from different ingredients, salad and cheese varieties and have the grill master do the rest. Except for the delightful enjoyment, of course, that will be up to you again. 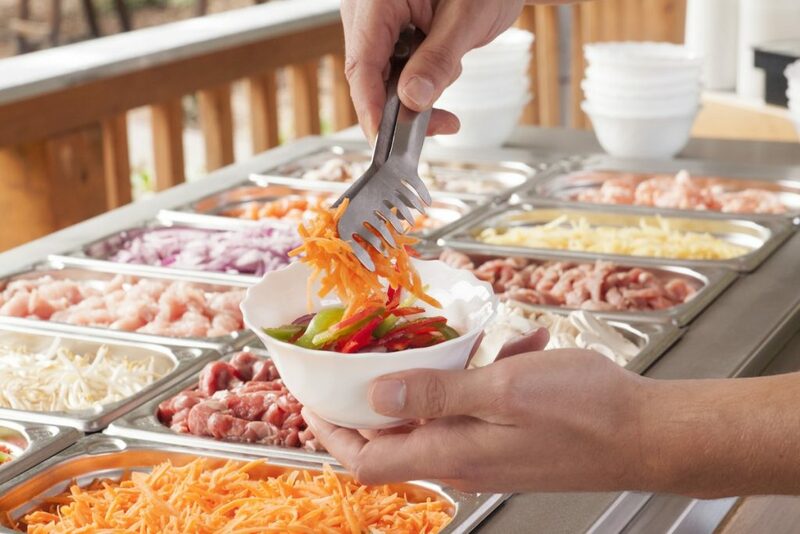 Mongolian BBQ, Burger Bar and Frozen Yoghurt are the refined expansion of our catering offer with a nice side effect: it is more than just a culinary highlight. The simple way of front cooking encourages interaction and communication between the guests. That’s why the live cooking is also great for parties, corporate events, wedding parties etc. and is a very popular catering alternative. Speaking of catering: Due to the positive feedback we continually refined the concept of our live cooking, so we are well-prepared and completely self-sufficient by now. 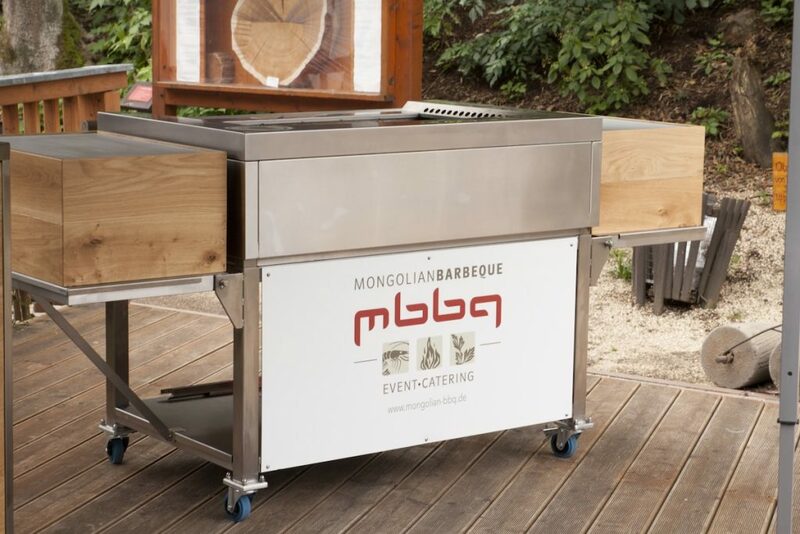 Our grill stations and the crushed ice-cooled buffet works without any electricity. Our tent or a covered area only requires as little as 6×3 meters of space. Grill, gas, transport… everything is ready to go for whenever you need it. Standards are nice, but we want more. And you probably, too. On request, we offer you a whole range of additional services to turn your event into a real experience. 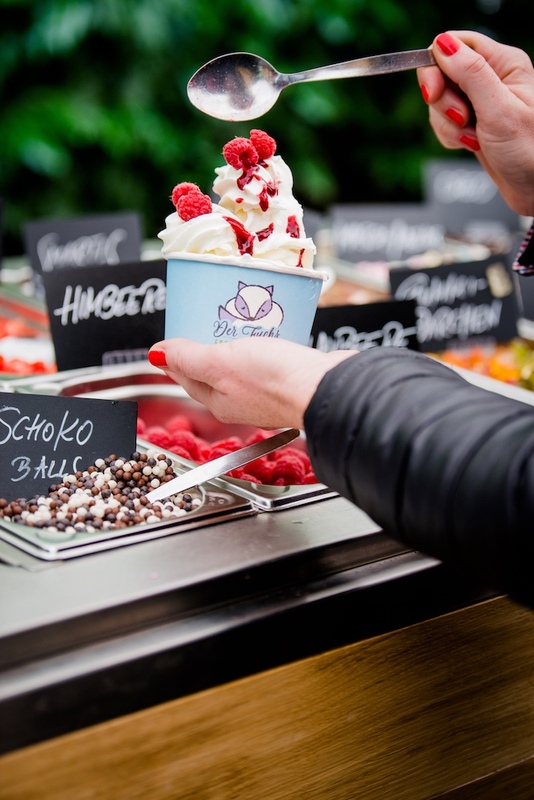 More pictures of catering, Mongolian BBQ, Burger Bar and Frozen Yoghurt can be found at Impressions.